Not only do some birds sing, but they sing cleverly. 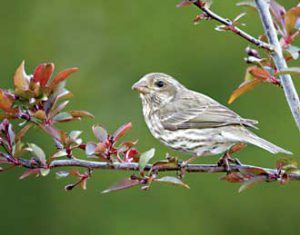 Female birds prefer males that sing prettier songs and female zebra finches prefer males with more complex songs. Moreover, females may be able to judge how smart a male is based on his song. Find out more at the Redpath Museum's next Freaky Fridays presentation. Not only do some birds sing, but they sing cleverly. Female birds prefer males that sing prettier songs and female zebra finches prefer males with more complex songs. Moreover, females may be able to judge how smart a male is based on his song. The Biology department’s Neeltje Boogert will discuss these and other amazing facts about animal communication at the next Freaky Friday presentation at the Redpath Museum. Freaky Fridays: Birds, Brains and Songs, 5 p.m. Fri., Nov. 19, Redpath Museum, Auditorium, 859 Sherbrooke Street W. Admission is free. Seating is limited. No reservations necessary.